DriveNation | Blog | DriveNation Edmonton is NOW OPEN! DriveNation Edmonton is NOW OPEN! DriveNation is Canada’s fastest growing automotive dealership, solely focused on used vehicles. That growth continues with the announcement of their latest store opening in Edmonton, Alberta. Soft opening its doors on April 5th, the Edmonton dealership is DriveNation’s first location outside of Saskatchewan and marks their sixth total location on the Canadian prairies. Situated along a heavily commuted area of West Edmonton, their location at 17250 Stony Plain Road will be open Monday through Saturday. The store consists of ample parking onsite, including a 13,000 square foot underground showroom and 17,000 square foot indoor showroom and office space. It’s designed to allow customers to shop in comfort, and at their own pace as they browse the lot of over 100 vehicles. DriveNation was established in 2012 to fill an unmet need in the automotive market. 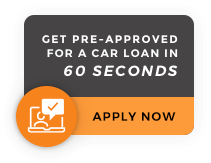 Delivering a used car buying experience that puts customers at ease and provides access to credit in minutes, regardless of financial situation. With the biggest used vehicle sourcing network in Canada, backed by quality standards such as history reports, 92-point inspections and 7-day guarantee, they are confident in supplying the best used vehicles on the market. It’s this reason DriveNation has become the go-to place for cars and credit in Saskatchewan in just a few short years, and is now bringing Albertans closer to acquiring the vehicle of their dreams as well. DriveNation has put over 10,000 Canadians behind the wheel of their new car, truck, van or SUV. With a non-commission sales staff and programs dedicated to those new to Canada, with no credit and those who need their credit rebuilt, they have become Canada’s most trusted used car dealership. The formal grand opening for DriveNation – West Edmonton is currently scheduled for May 5th.